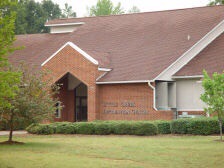 Tucked away off of Jonestown Road is a local gem, Little Creek Neighborhood Center. Complete with a walking track, a softball field, tennis courts, a playground and brand new splash pad, Little Creek is a treasured spot where you can find something for the whole family! Last year was Little Creek’s first year of hosting an after school program for ages 5-10, and they’re looking forward to keeping that option open for next year. They are also the home to dance classes, workout groups, and family-friendly events every other month, such as Parents’ Night Out, Kite-Making/Flying Workshop, and Noon Year’s Eve.